Just across the South Carolina border, is the gorgeous town of Savannah, Georgia. Full of historic landmarks, monuments, and ghosts, Savannah has been labelled one of the most haunted places in America. Its dark history attracts tourists each year for ghost hunting adventures. If you claim to be one of brave, then try these terrifying places… if you dare! 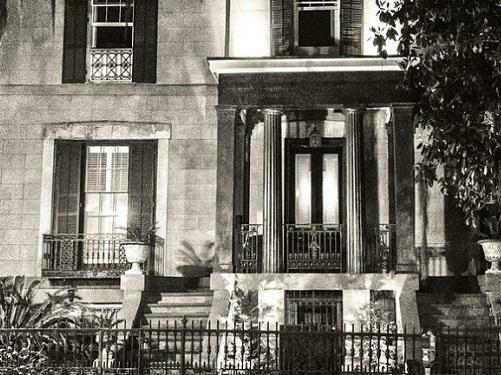 This beautiful house is regarded as one of the most haunted houses in Savannah. Calhoun Square sits upon a Civil War era burial site. Calhoun Square, specifically 432 Abercorn, is downright creepy. 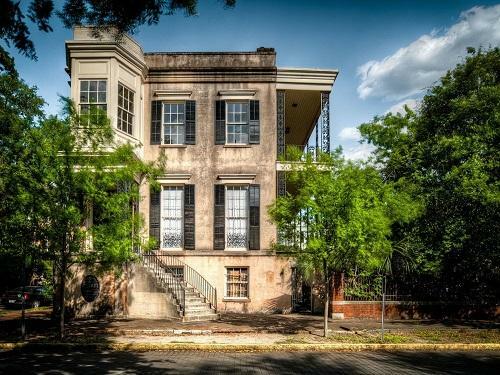 Whether you believe the murderous stories from the ghost tours or you think you know about the history of the house, 432 Abercorn has an unusually dark feeling. This haunted house is not open to the public, but you are allowed to walk by or admire it from the square. If you are lucky, the owner sometimes has the blinds open to let you take a peek inside. Please be respectful to the owner and do not trespass on the property. Take a few moments to sit in the square and take in the dark stories of the past and you will quickly feel the chills. Become a ghost hunter by travelling inside the Sorrel Weed House, the most haunted house in Savannah. The Sorrel Weed House was featured on the Travel Channel as one of the Most Terrifying Places in America in 2010. You are completely immersed in the history of the house while searching for the spirits within. This tour is like no other in Savannah because you are given your very own EMF detectors and infrared cameras to find true evidence! 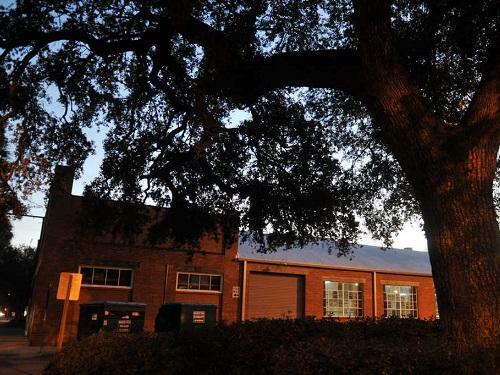 There is an exclusive four hour midnight tour on Halloween night, open to only 15 people courageous enough to join Savannah Paranormal Investigations on the search for paranormal proof. Beware this tour is not for the faint of heart. Hop on board the Ghosts & Gravestones Old Town Trolley Tour if you dare! The Trolley of the Doomed will take you to the darker sides of Savannah, passing the ancient cemeteries with lingering spirits. You will ride by the bloodiest of battlegrounds in history, listening for the echoes of the past. Ghosts & Gravestones guests will experience “America’s Most Haunted City” with limited nighttime entry into two of Savannah’s most haunted venues: The Andrew Low House and the Perkins and Sons Ship Chandlery. Reports of spirits inhabiting the home and shop, tales of staff seeing apparitions dressed in old-fashioned clothes, and furniture moving across the floor it are not unusual. In 1909, news of a triple murder at the Gribble House broke through the town of Savannah. Three women were brutally killed in this once happy little house. After the murder, the house was torn down and a warehouse was built in its place. Many say the grounds are still haunted by the three women that were murdered there so long ago. Test their stories by going on your very own ghost tour with the Gribble Paranormal Investigation team! You are given paranormal equipment to try your luck at conversing with the spirits beyond. If you are staying at Spinnaker Resorts Royal Floridian, take a trip over to Orlando, for their spooktacular Halloween festivities. There are events happening every night that are safe and supernatural for the whole family. Wear your favorite costume and join Mickey’s Not-So-Scary Halloween Party! 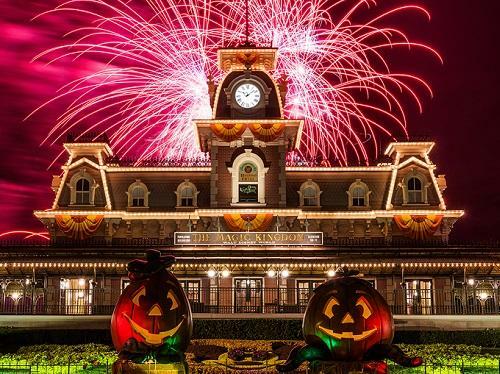 This special event is held at Magic Kingdom each Halloween season. Goblins, ghouls, and princesses of all ages are welcome to join Mickey and friends on their very special Trick or Treat Event. You can collect candy, dance with your favorite Disney characters, and ride Mickey’s favorite rides! You can also enjoy Disney’s Shows at the castle, including Hocus Pocus Villain Spectacular. Meet all of the villains and see the Sanderson Sisters come alive in this musical dance. You won’t want to leave before seeing the Boo To You Parade. The parade is held at 8:30 p.m. and 11:15 p.m. for all guests to enjoy. At 10 p.m. the projection show at the castle is taken over by Disney’s favorite villains. Finish off the night with the Happy Hallowishes fireworks display. All the Disney characters come out during Mickey’s Not-So-Scary Party! Have you ever wanted to throw yourself into a horror film? 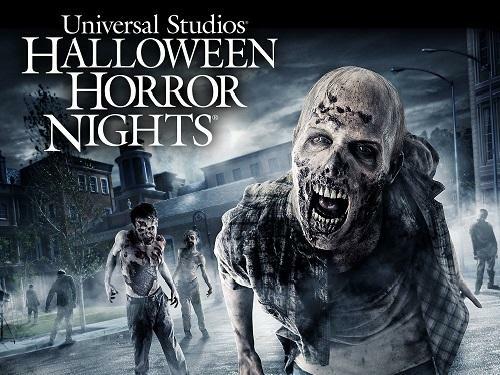 Universal Studios creates innovative scare tactics to terrify their audience by putting on a horrific event that will leave you sleeping with the lights on. This year, Halloween Horror Nights 26 is bringing Universal’s collection of scary movies to life. They focus on your favorite scary movies and shows to place you right in the middle of the action. If you find yourself caught in a scare zone, run as fast as you can or cast members from Tomb of the Ancients, Ghost Town, or Lunatics Playground 3D will take you. This year’s themed haunted houses include the Walking Dead, American Horror Story, the Exorcist and Texas Chain Saw Massacre. Each house leaves you more terrified than the last. There are other mazes and houses for you to journey through including Halloween, Krampus, and more. You will laugh, you will scream, but most importantly you will make it out alive… hopefully. Do you have a favorite haunted place in the South? Share it with us on social media.